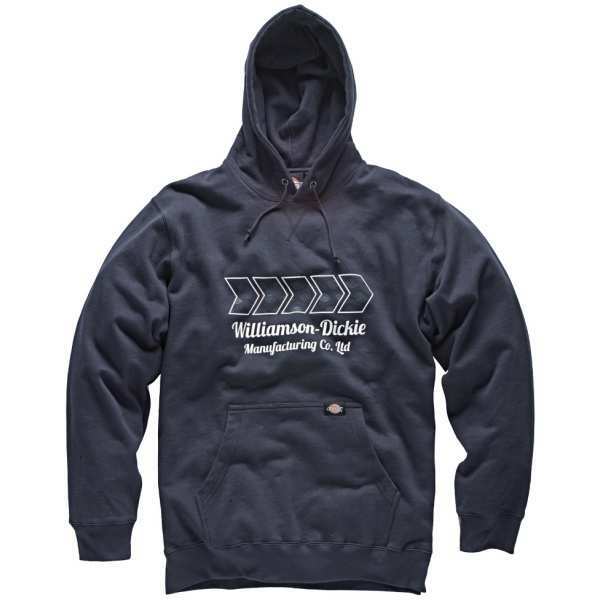 Arkley Hoodie Navy Blue 3XL The Dickies Arkley hooded top features a large front logo with discreet Dickies logo detailing within the chevrons. The product also has ribbed cuffs & hem for a comfortable fit and the hood is adjustable, with the added benefit of a lightly padded edge for even more comfort. ?